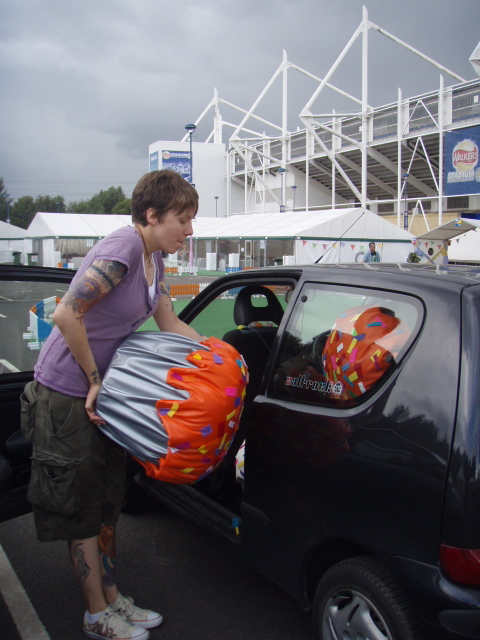 Laura attempts the Olympics sport of Cramming Giant cupcakes into a Tiny Car. She wins GOLD! 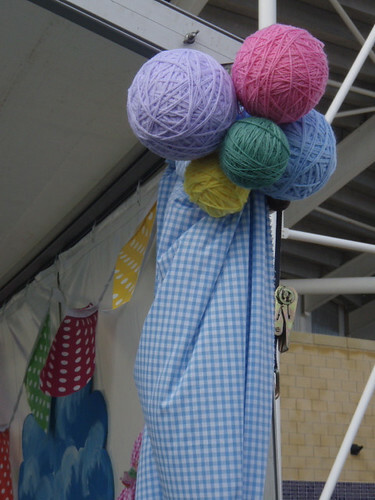 Ruth wins gold in Winding Wool onto Giant Polystyrene Balls at High Speed Late at Night the Day Before the Thing Opens. 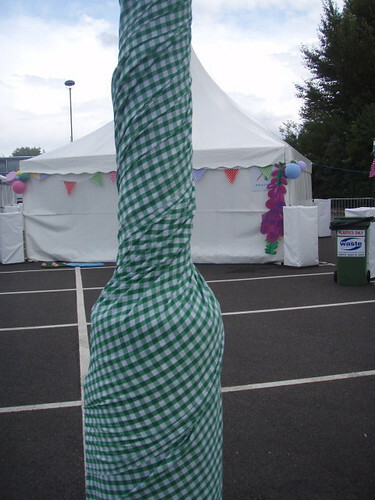 And silver for Wrapping Lamp Posts in Gingham. Kate wins GOLD PLUS for having such fab ideas. 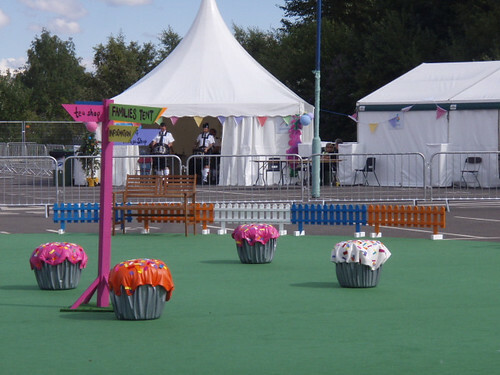 *I was helping out my mate Kate in decorating the Special Olympics Games Village last week.